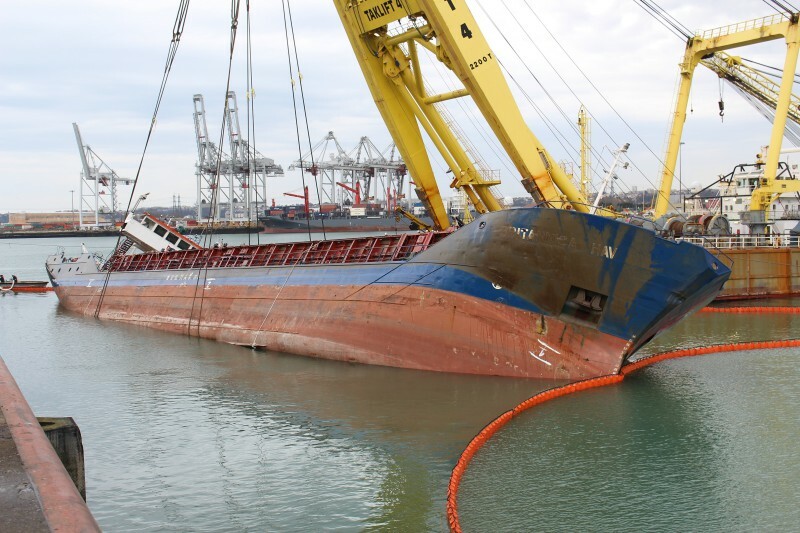 Successful turnaround for the "britannica hav" by the crane pontoon Boskalis "taklift 4". So this is the vessel involved in incident with my DEBORAH ! The collision occured within international waters so it is unlikely that France will carry an investigation, like for Modern Express. No initial investigation started as per BEAMER website so far. Suspect the Belgian maritime authorities will initiate an investigation since the other vessel involved in the collision is a trawler from Zeebrugge. Hopefully some interesting reading in a few months. Anyone know who is leading the initial investigation - France or Malta? I agree with Pascal, the cost of renovating / replacing the main engine alone would probably exceed her value. I suspect she will be declared a total constructive loss and scrapped. Thank you for your comments, but no I do not believe in a return to service of this old ship now very damaged. She'll soon be back in service. This photo has been shown 1,581 times since it was added to the site.